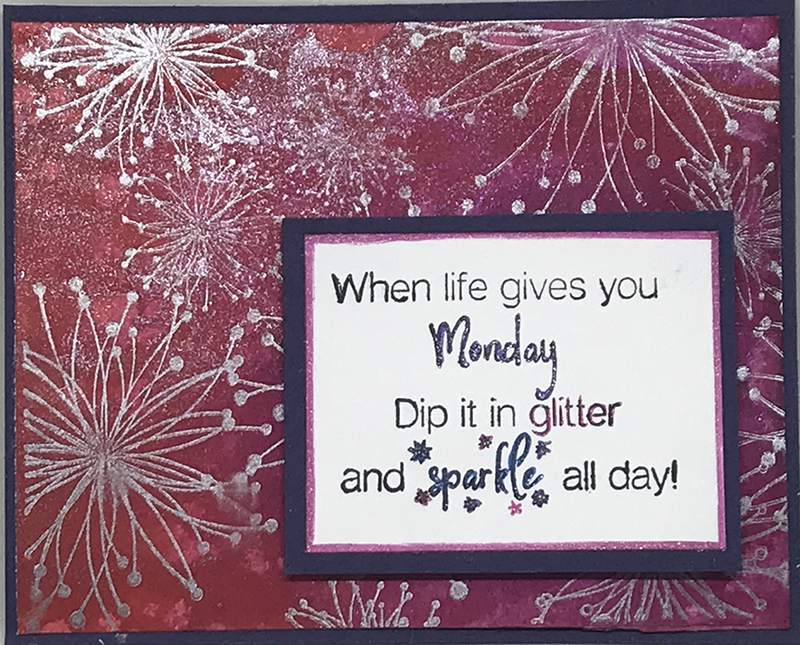 And that background...I simply placed a Multi-Chevron Stencil (A Colorful Life Designs) on white cardstock and sprayed it with Mardi Gras and Dolphin Cove Shimmering Bliss Sprays. It is so shimmery - and, well, just HAPPY! One of my favorite flowers in the world are Lilacs. 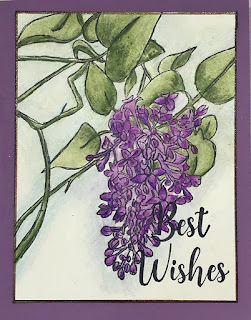 When we first moved to our house in Connecticut 24 years ago there was a lilac tree (way too big to be a bush) outside my bedroom window, and in the early spring the lovely fragrance of fresh lilacs would fill my heart with happiness. I will forever love the smell of fresh lilacs because of that. Not to mention their glorious purple color ...purple just makes me happy. In light of this, no other floral design in the Technique Junkies stamp line this year has made me happier than this Lilac Background Stamp designed by JanTink from #mittenstatestamps (offered exclusively for Technique Junkies). Every time I color it, I think of my Lilacs...you can almost smell them, can't you? 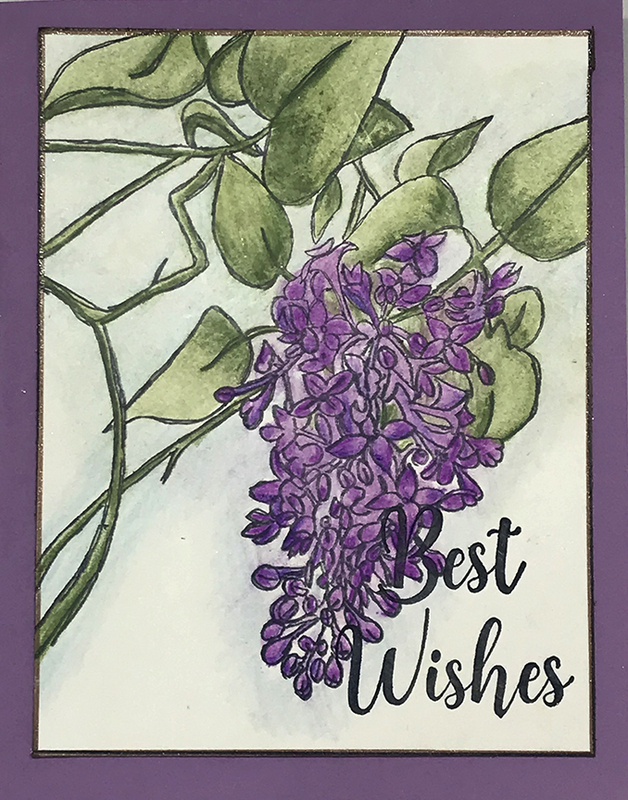 I colored these stamped lilacs with Copic markers, then added the Best Wishes Sentiment from the Wreath Wishes Set. The white piece was edged with an Urban Graphite Glitter Marker, just to add a shimmering edge to the focal image piece. Now all we have to do is wait for those Lilacs to bloom...just a few more weeks. 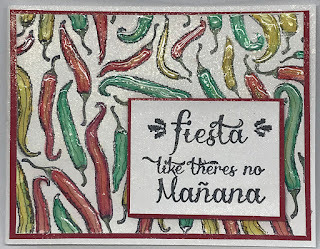 I am thrilled to present our new April 2019 stamp release! 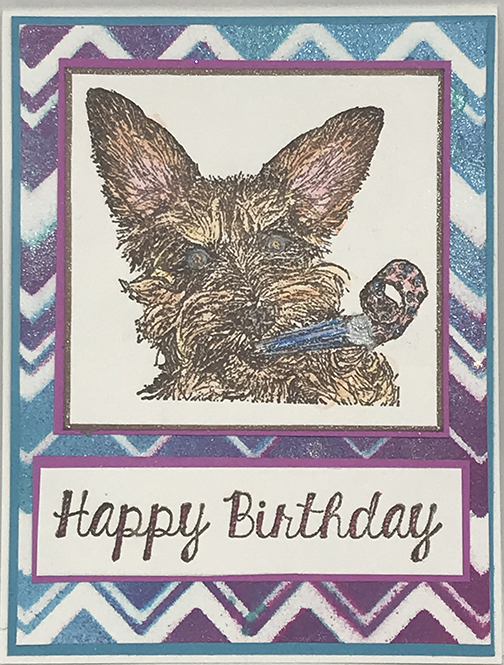 We have 15 new stamps with some fun themes, and as usual, you will receive 15% off the new April 2019 Releases until April 8th. 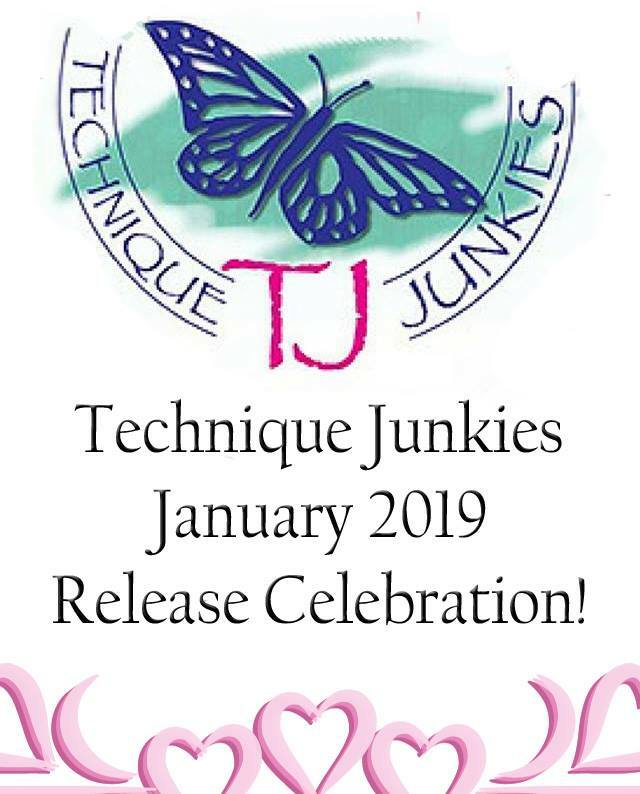 We have a celebration of inspiration for you, too - many of the Technique Junkies Designers are sharing the beautiful artwork they have created from the new stamps. 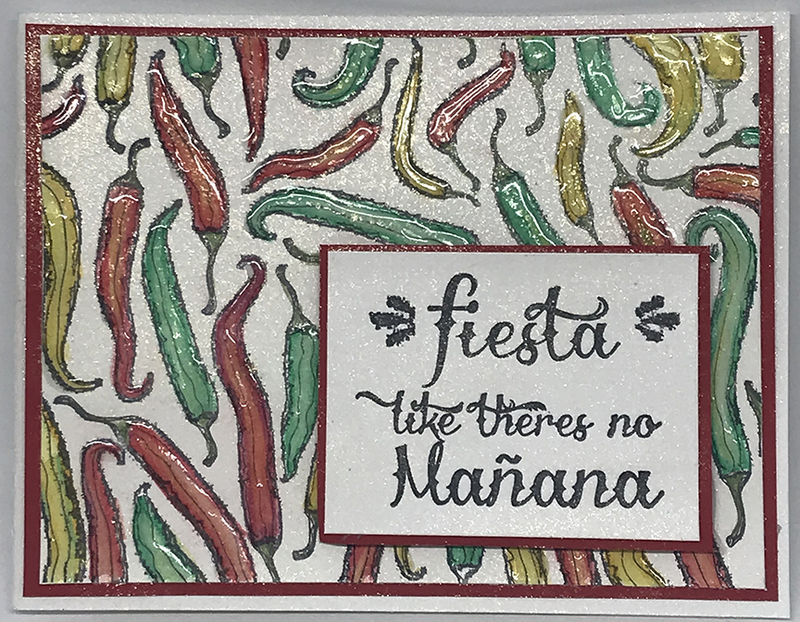 Don't forget, everyone who orders $30.00 and over during the month of April 2019 will receive the exclusive I Like to Party stamp for FREE! 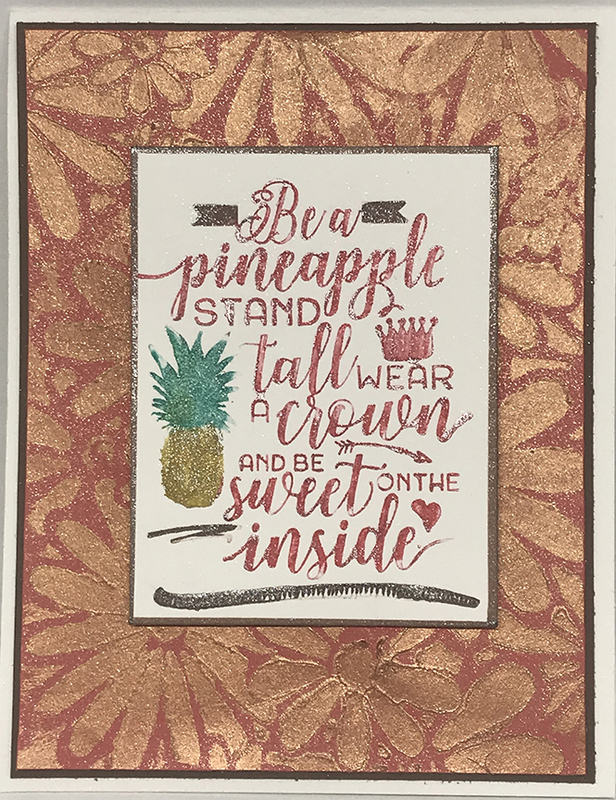 And finally, for today, I have the Be a Pineapple stamp colored with Glitter Markers -- this will also be a tutorial this month! Make sure you take time to shop while the 15% discount is active. I hope you were inspired by all the artwork today, and that you love the new stamps as much as I do! 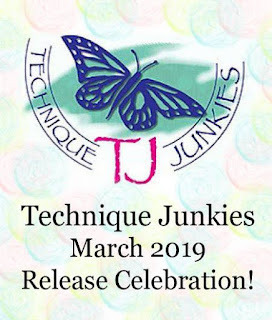 A Celebration of Spring: New Stamps from Technique Junkies! As we finally approach Spring, I am thrilled to roll out the New March Release Technique Junkies stamps for the month of March. 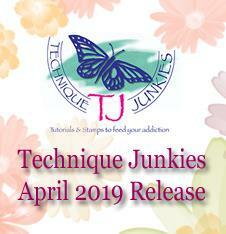 We have a plethora of images that are great additions to the whole Technique Junkies line. 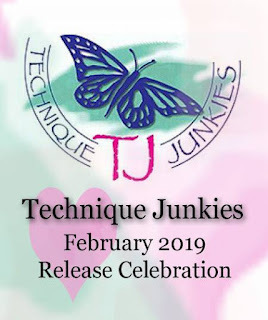 The TJ Design Team has created a celebration of the new stamps on their blogs. The full list of all the ladies playing along today is below. 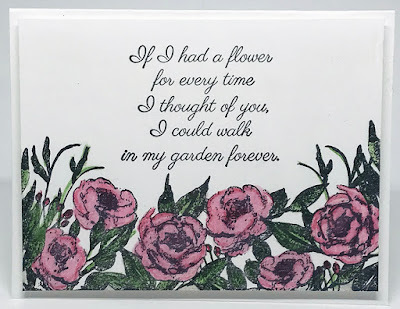 My first creation uses the new Rose Border stamp with sentiments from the In Full Bloom set. I love this Rose Border - I think it is feminine and lovely. 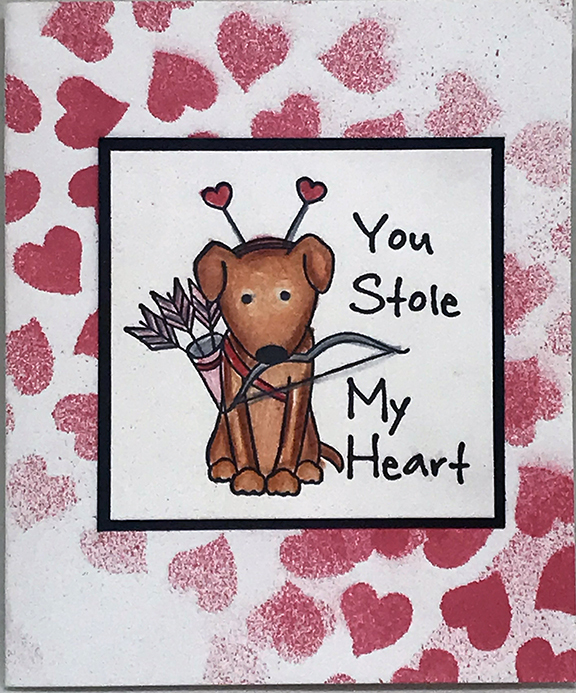 I simply stamped it in black and colored it with colored pencils. 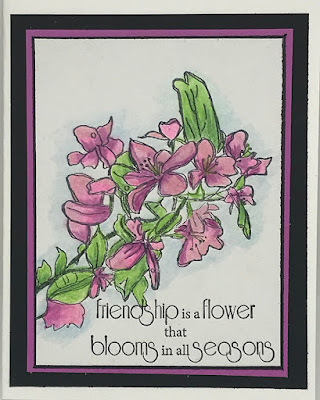 The In Full Bloom sentiment set is great, too since it is so versatile for floral and friend cards alike. 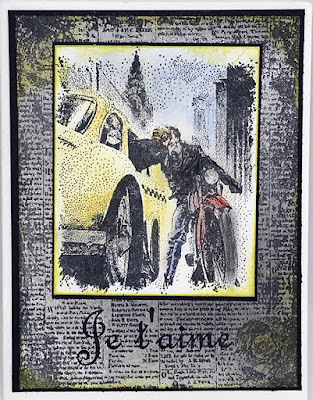 The card above uses the Love in the City stamp as a focal image. 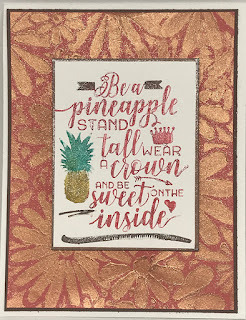 I lightly colored it with pastel pencils then I layered it onto a Textured Newsprint (previously released) background that had been sprayed with Silver Shimmering Bliss. 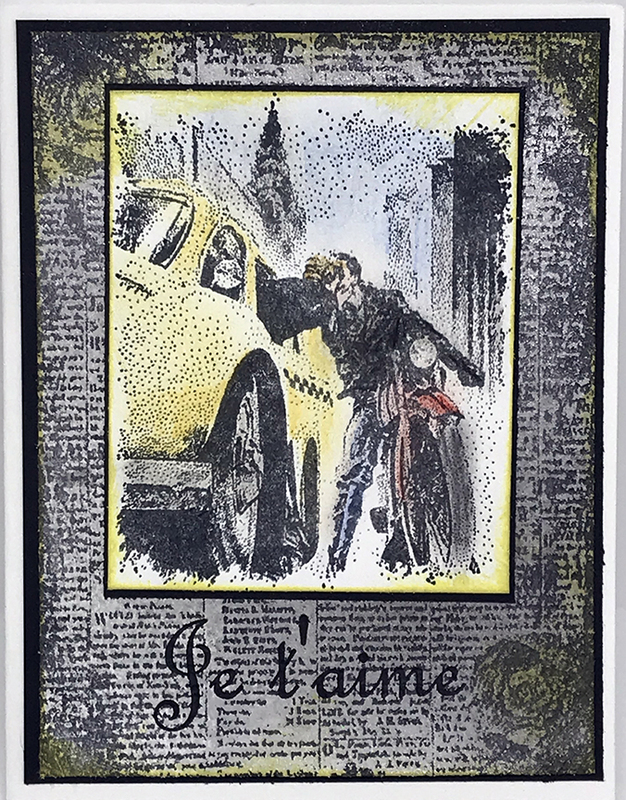 I added accents in yellow ink and stamped the Je t'aime sentiment from the French Sentiments Set (previously released) to finish the card. 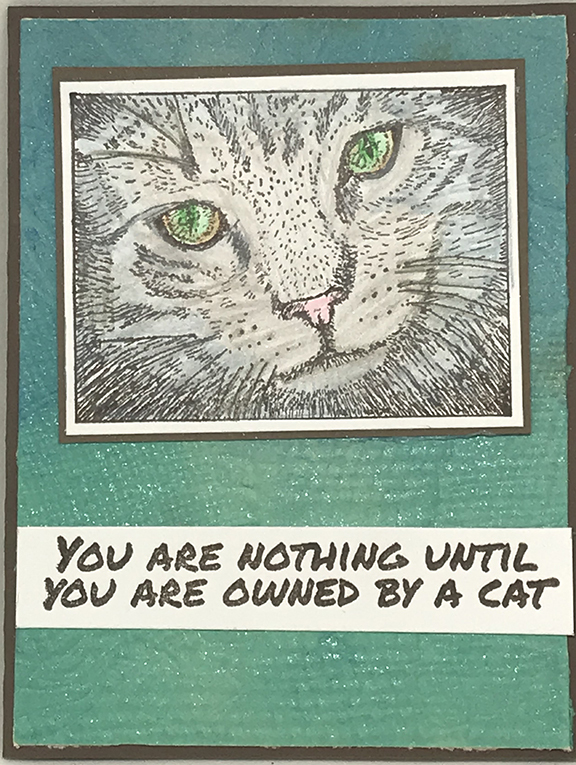 Finally, I am very pleased with this card. 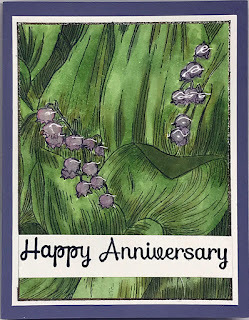 I used the Crabapple stamp from Janine Tinklenberg/Mitten State Stamps and stamped it in black. 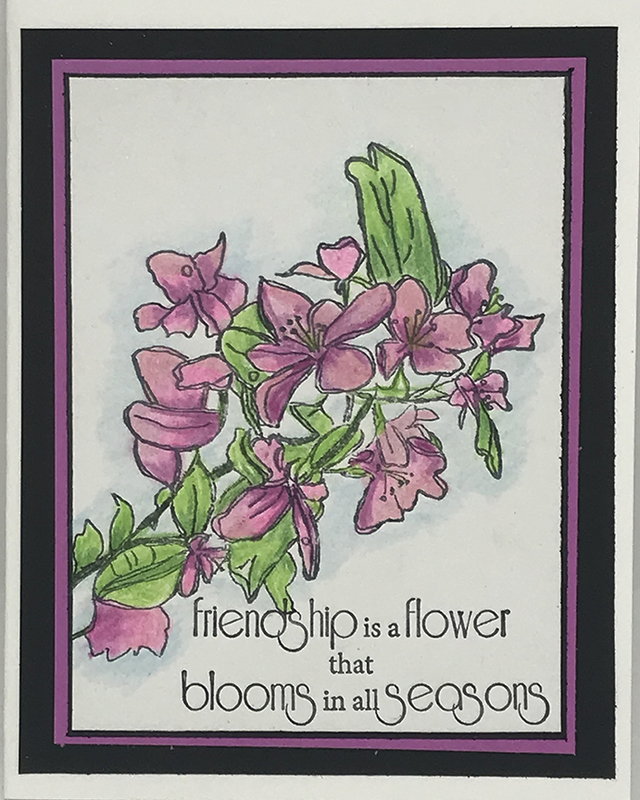 I used colored pencils and finished it with one of the In Full Bloom Sentiments. Okay - don't forget your 15% through March 8th. Enjoy the new stamps! Celebrate the New February Stamp Release! 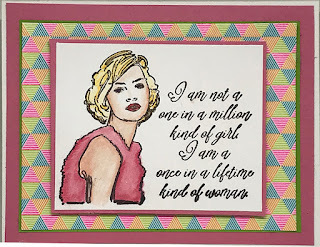 I hope you take a few minutes today to take a look at the artwork from the other designers, I thin you will be very inspired! In the meantime, here is a little preview of some of the things I have made with the new stamps. First, this one is a stamp called Confident Girl. 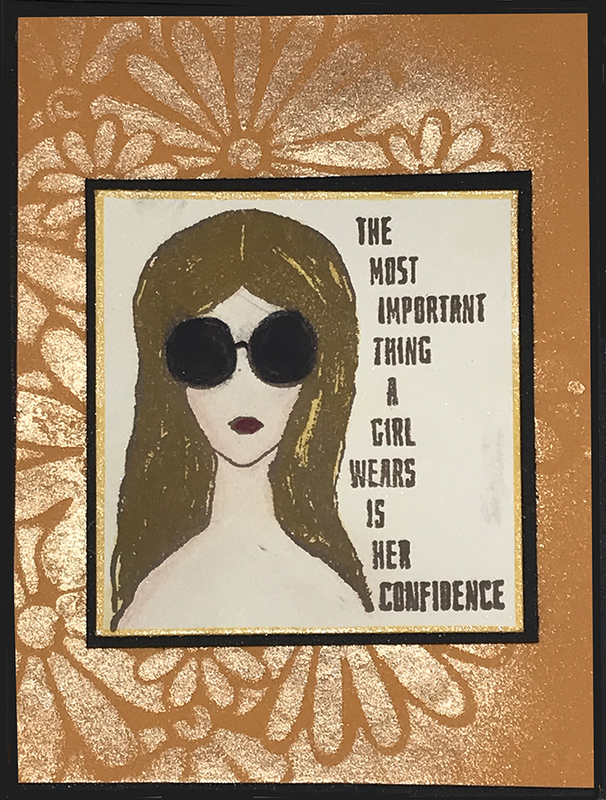 I used brown ink and colored her hair and skin with pastel pencils, then darkened her glasses with a black marker. 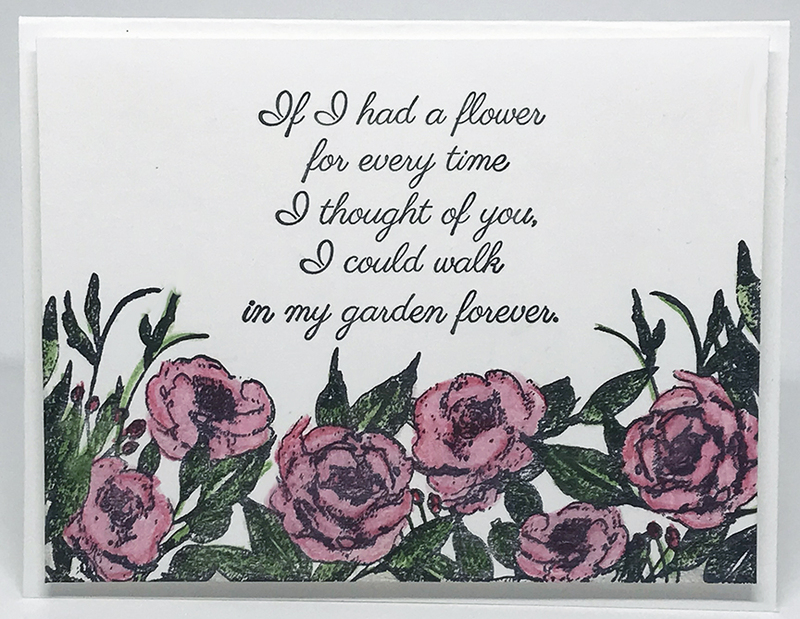 The background uses Harvest Sunset Shimmering Bliss through the Floral Bouquet Stencil. The next sample uses the new Just a Hug stamp. 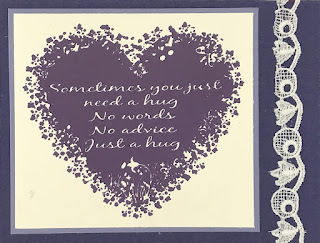 This is the simplest card ever -- with such a great sentiment! In the next example, I use Thulian Pink and Mardi Gras Shimmering Bliss in the background. 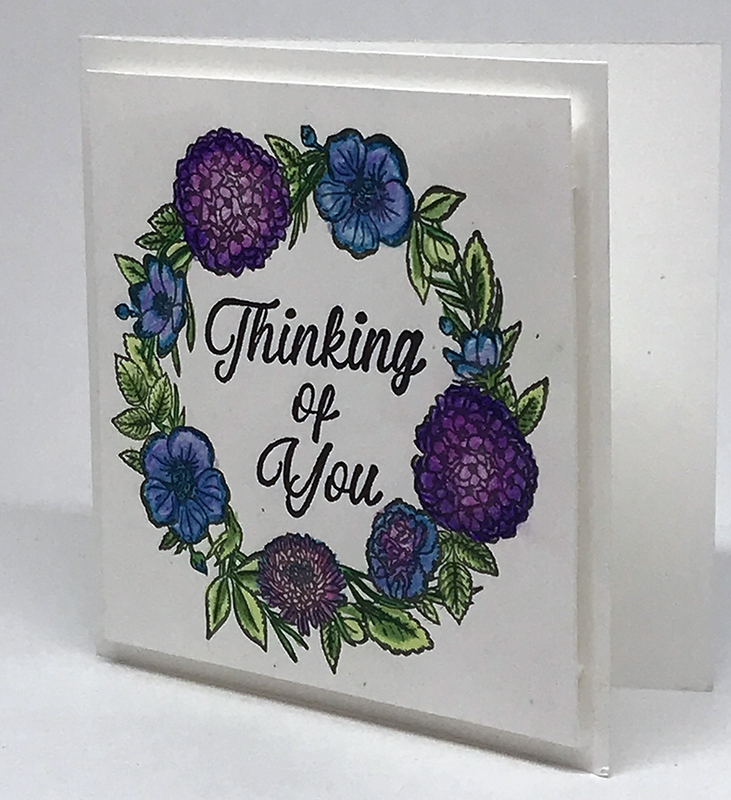 I stamped Silver Delicata Ink over it with the new Retro Blooms Background. The focal image is the new Sparkle all Day stamp. It is the sparkliest card ever! 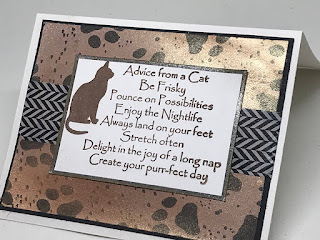 Finally in the last sample, I stamped the Paw Prints background on a piece of Kraft Cardstock, then sprayed over it with Harvest Sunset Shimmering Bliss. 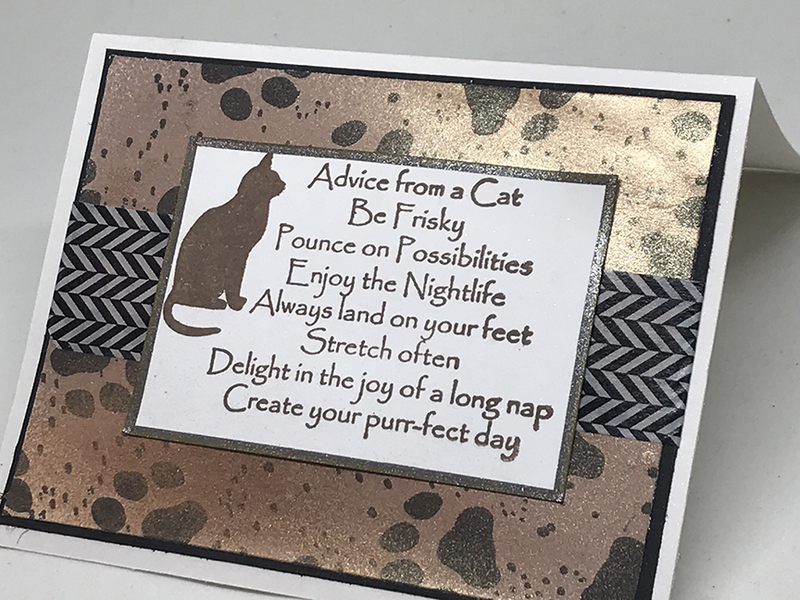 The focal image is the new Advice from a Cat stamp. You can't help but to love this! I hope you enjoy our new stamps this month! Make sure to take advantage of the 15% discount on the new stamps by February 8! New Stamps for the New Year! Happy New Year! Many warm wishes to you and your families for a healthy and prosperous 2019. To help ring in the new year, we are celebrating with a new stamp release. 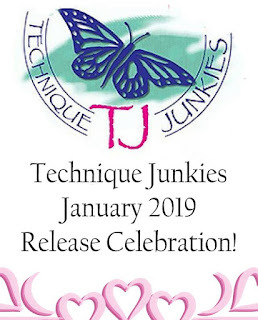 As usual, all new stamps are automatically discounted 15% through January 8, 2019. I am so excited about these new stamps! You can see the full new release here. Simply add any of the new stamps to your shopping cart and the 15% will be automatically applied at checkout. 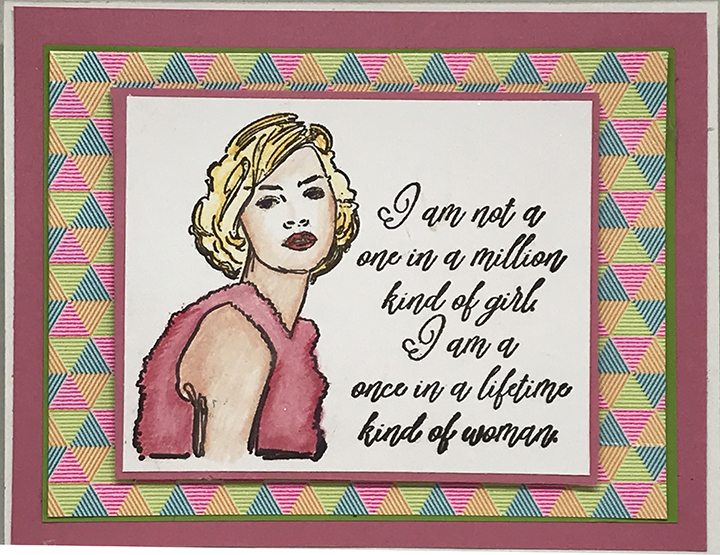 As part of the celebration, the TJ Design Team has prepared artwork to inspire you. The full list of participants are below, in case you want to check out their beautiful work. First, I used the One in a Lifetime stamp. I colored her with colored pencils, then I found this wild washi tape for the background. I love the positive message from this stamp! 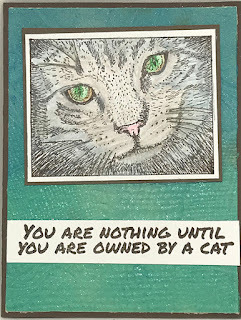 Next, I colored the Cat Frame stamp with colored pencils and added one of the sentiments from the Cat Greetings Set. The set is great because it includes stamps for the inside and outside of your card. The background is a piece of handmade paper with texture that has been sprayed with Technique Junkies Shimmering Bliss. 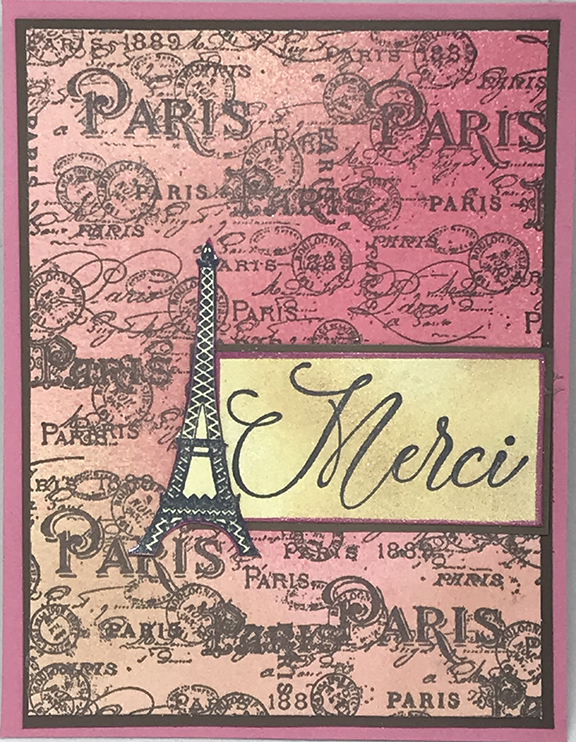 This next piece uses the Paris Postmarks background (also colored with Shimmering Bliss spray) with Merci from the French Sentiments Set . 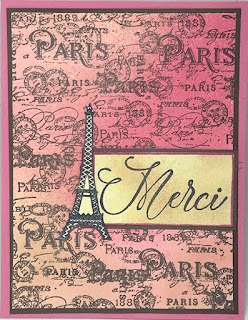 I also added a little Eiffel Tower (previously released) as an accent. Finally, I made this cute little Valentine card! I used the You Stole My Heart stamp (colored with Copic Markers) as the focal point. 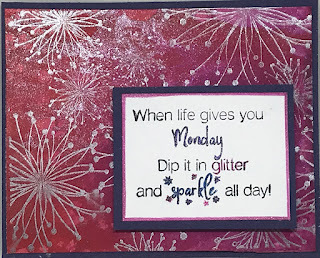 The background uses the Whimsey Love Stencil (from the collection of A Colorful Life Designs Stencils) lightly sprayed with Thulian Pink Shimmering Bliss. I love the tumbling hearts effect! Well, that is the end of the collection for January's stamps from me (so far). Watch our YouTube video on Friday for a quick tutorial for how to use the Better with Coffee Set. Not a subscriber to our YouTube channel? You can subscribe HERE. 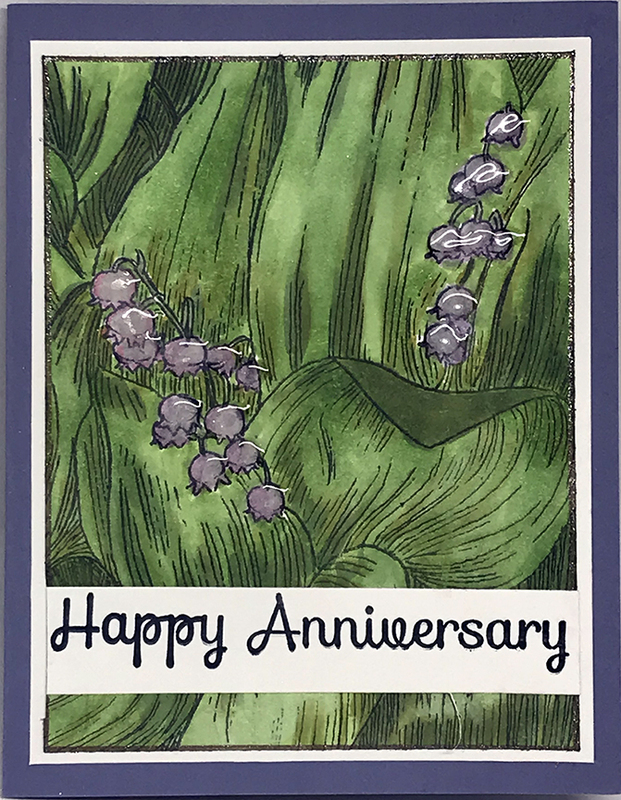 I hope you have enjoyed our celebration, and the new stamps. Happy New Year!